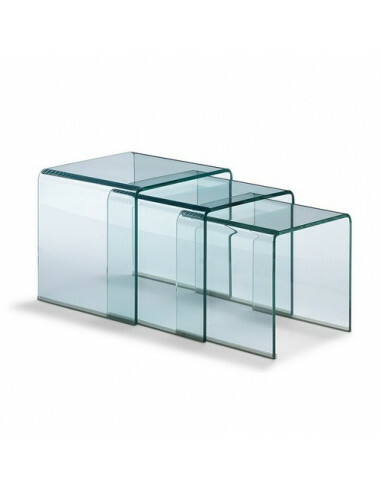 Set of 3 units side nesting tables made of curved and tempered glass. ESTIMATED DISPATCH WITHIN 10 DAYS + TRANSIT TIME ? 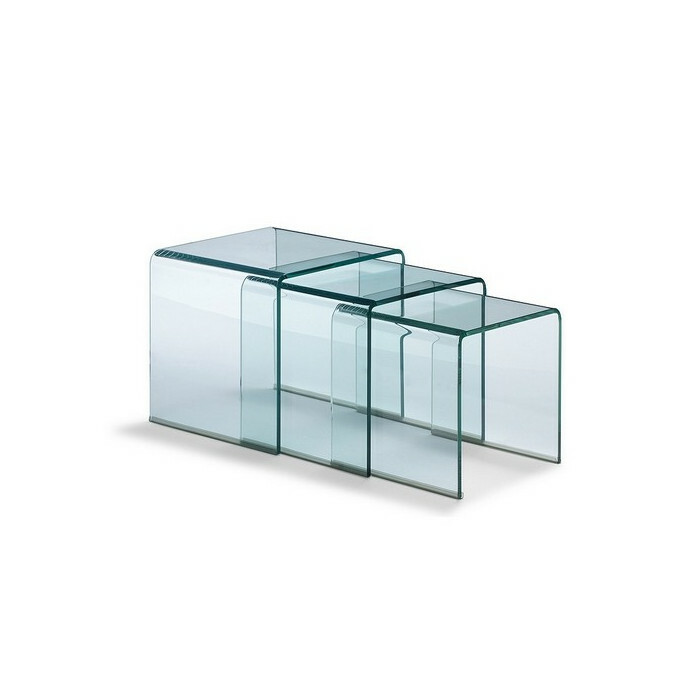 Design tables nest type (3 units). Made entirely of curved and tempered glass 12 mm thick.